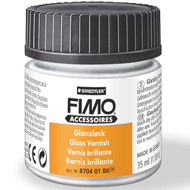 Varnishes give a protective coating and intensify the brilliance of clay colours. Use special adhesives for raw or baked clays. 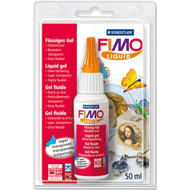 FIMO Deco Gel and Sculpey Translucent Liquid allow you to make unusual transparent objects. Mix Quick and Sculpey Clay Softener improve texture of dry clay. Metallic and decorative foils allow you to add special finishes. Use Lisa Pavelka transfers to add unusual details to your designs. Real leaf Metal for creating impressive surface effects. 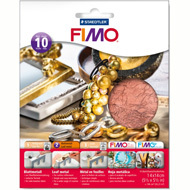 A large range of colours including metallics ideal for decorating clay objects.